It's that time of year again. No, I'm not talking about sandal season or even the premiere of a new season of Game Of Thrones. I'm talking about the 2016 White House Correspondents' Dinner, an event that few of us will ever get to attend, but holds a certain fascination nonetheless. It's not every day that a comedian takes the stage to essentially roast both the President and his administration — which is exactly what emcee of the event, Larry Wilmore, will do on April 30. 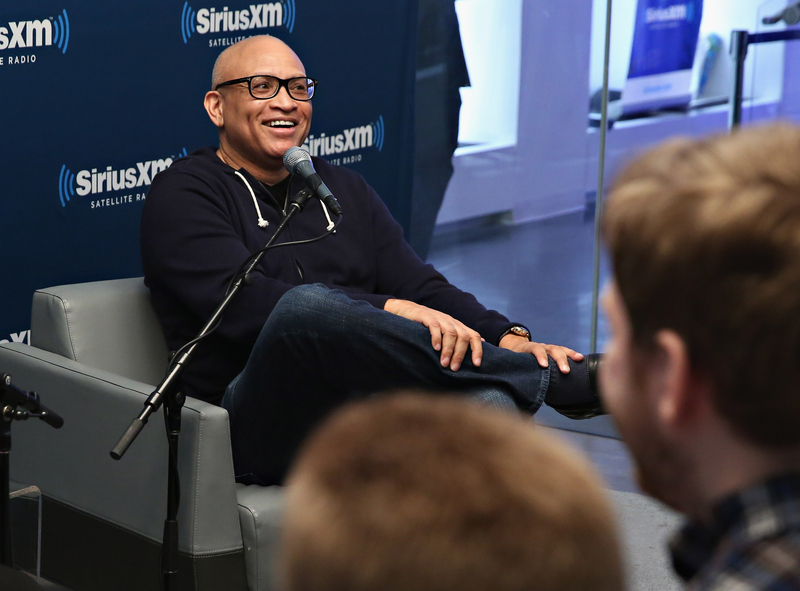 Wilmore certainly has experience poking fun at the weird world of politics: prior to hosting The Nightly Show, he was the "senior black correspondent" for Jon Stewart on The Daily Show. Lots of things have changed since then, including his personal life, as Wilmore got divorced. So who is Wilmore's ex-wife? She's not quite as recognizable as the WHCD host, but she's made a splash in show business too. [It] was tough when people would say, "Aren't you so excited?" about the new show and I couldn't really say, "Yes, well, I'm going through a divorce right now, too." So this year has been a swirl of emotions because we were married for 20 years. ... But it's an amicable one, we're good friends and everything. It's something we've been going through a long time. According to VH1, Wilmore was married to Leilani Jones and they have two children together. Jones should be familiar to people who love musical theater: Her Broadway World profile reveals that Jones originated the part of Chiffon in the original off-Broadway run of Little Shop Of Horrors in 1982. She also appeared in the original Broadway production of the musical Grind in 1985. According to her IMDb, since her music theater days, Jones has done some voiceover work and appeared in TV series like Married with Children and Beverly Hills, 90210 in the '90s. Though they divorced recently, Wilmore's NPR interview makes it seem like he and Jones are on good terms and he doesn't otherwise discuss his personal life very often. So while the WHCD host will poke fun at many people on April 30, don't expect to hear anything about Jones.